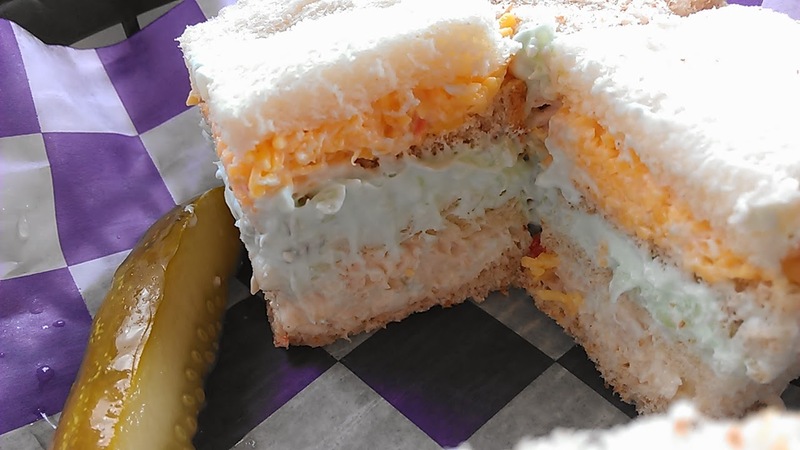 They had a sandwich called a "Rainbow Sandwich": chicken salad, cucumber salad, and pimento. It was delish! 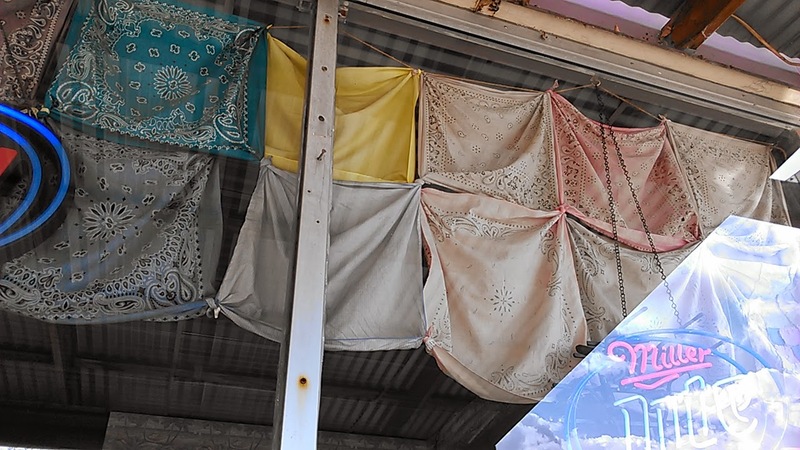 Who knew you could make window treatments out of handkerchiefs? We ate outside, and it was great until a big burst of wind came and knocked down part of a tree...onto the roof. We all scurried inside pretty quickly! Who can name where we were??? ~ Nothing much going on here except for work. I missed community band last week because of a very bad cold, and this week because of the training. ~ Today is the last day before Spring Break! Bring. It. On! Woo hoo! Spring break is almost here! 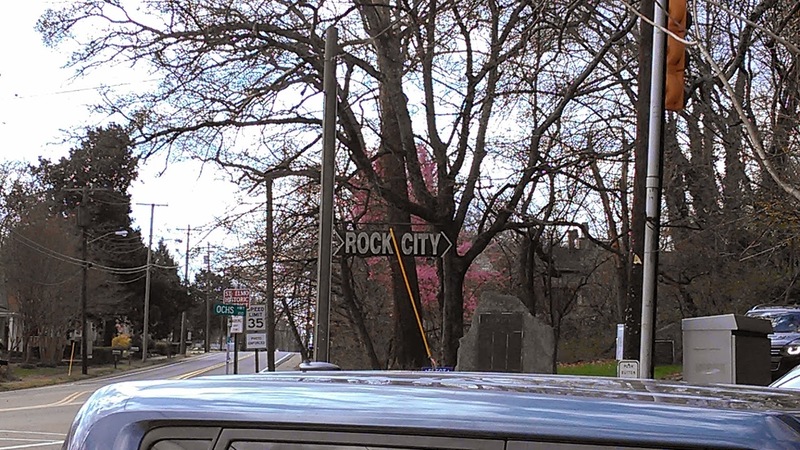 We always say Rock City employs the King of Marketing. Their signs are everywhere! Spring Break-whoohoo! Hope it feels like spring for you! Last time we drove through there my husband had to tell me the story of all the barns advertising Rock City. Still get a kick out of it. Chattanooga... never been there. 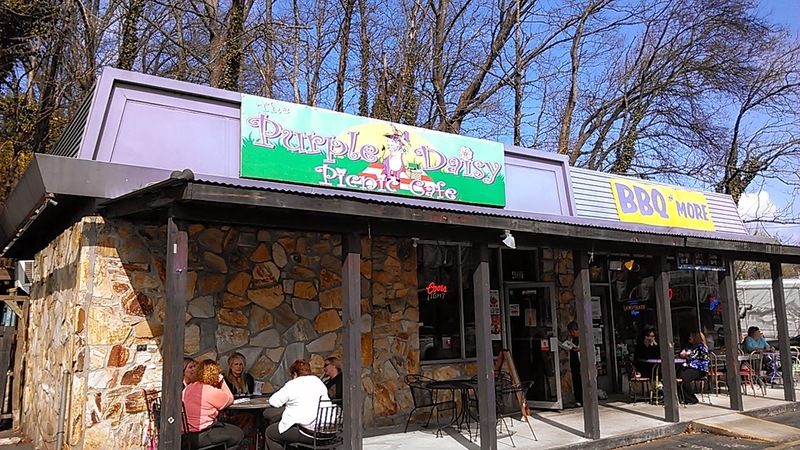 I need to venture down that way when we go to Nashville. My mother makes a rainbow sandwich - egg, salmon and ham and pickle and would decorate it with cream cheese icing to make it look like a cake. It was a conversation piece at showers. Looks like an very interesting place you stopped to gave lunch. Enjoy your weekend. Hope you have a great spring break. That sandwich looks good.